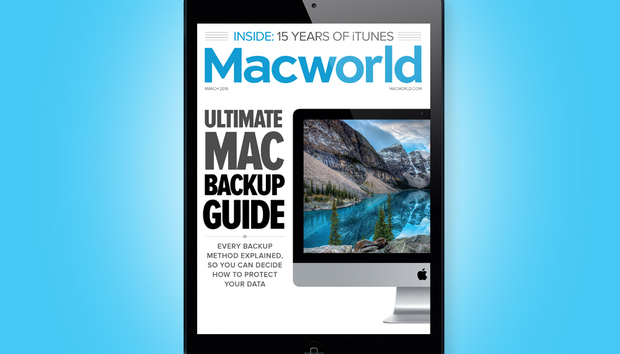 We present our complete, easy guide to backing up your Mac. Every backup method explained to help you decide how best to protect your data. Plus, we take a look back at 15 years of iTunes. • MacUser: The complete guide to using emoji. • iOS Central: Does iOS 9.3 herald a new release strategy? • Working Mac: 4 reasons to run your own server, and 4 reasons why you shouldn’t. • Playlist: Everything you need to know about digital audio files. • Mac 911: How to avoid a surprising bill due to Wi-Fi Assist.